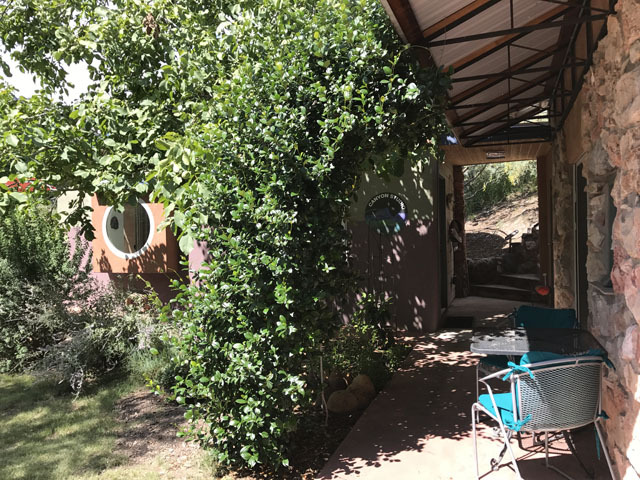 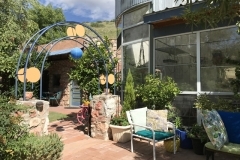 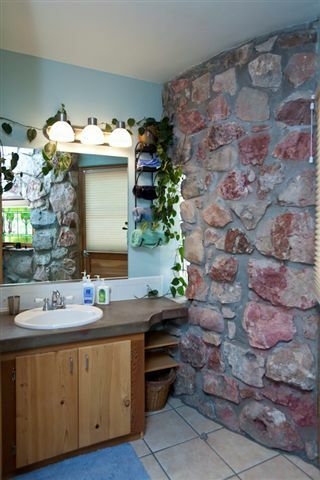 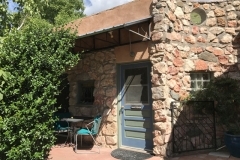 The Guest House is a free standing, passive solar stone building separated from the Main House by a courtyard. 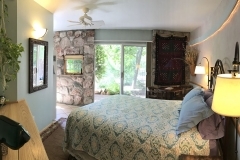 It consists of 2 Guest Rooms. 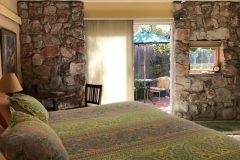 The Sage Room offers a queen size bed, private bathroom and small patio with a shared native grass lawn. 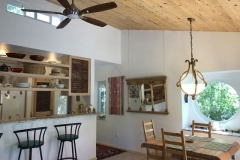 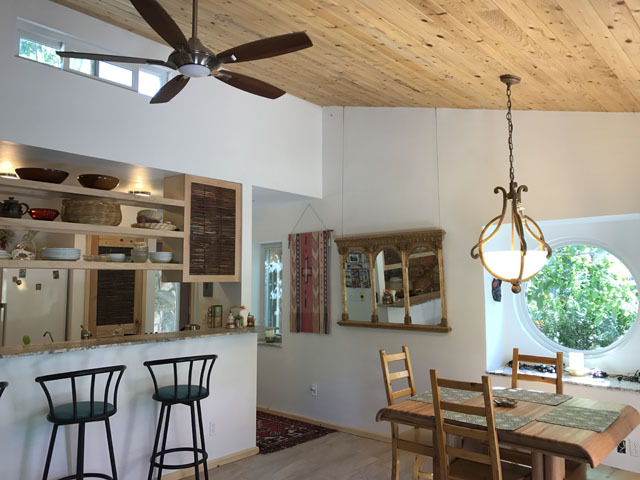 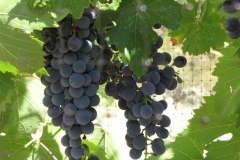 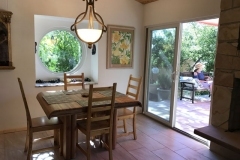 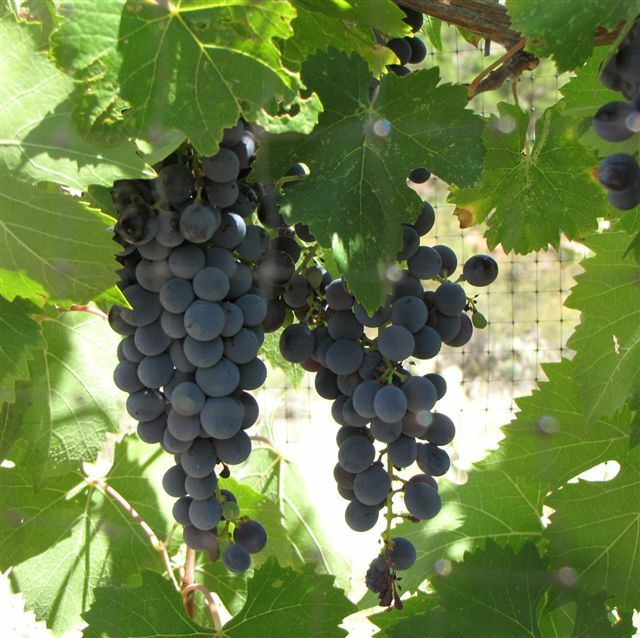 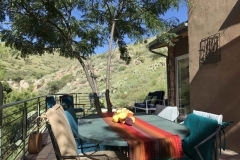 It has a view of Mescal Canyon and the Foothills of Mingus Mountain. 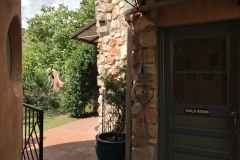 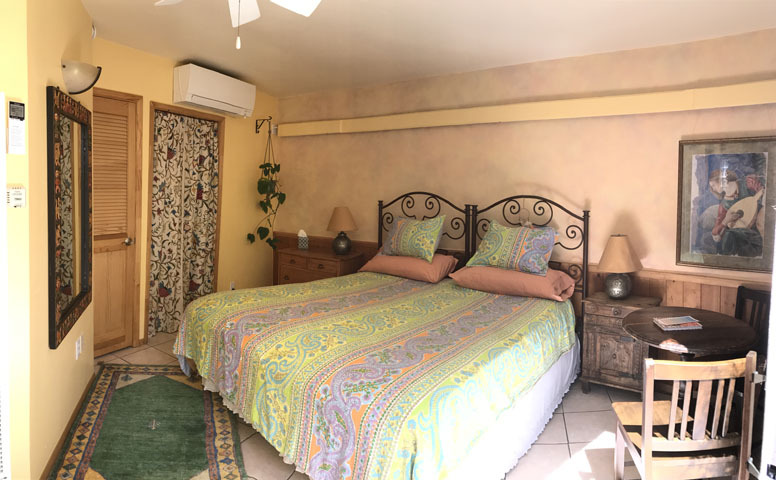 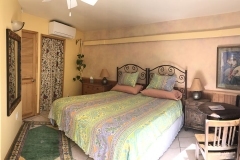 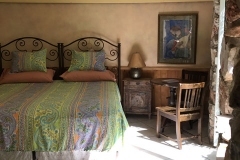 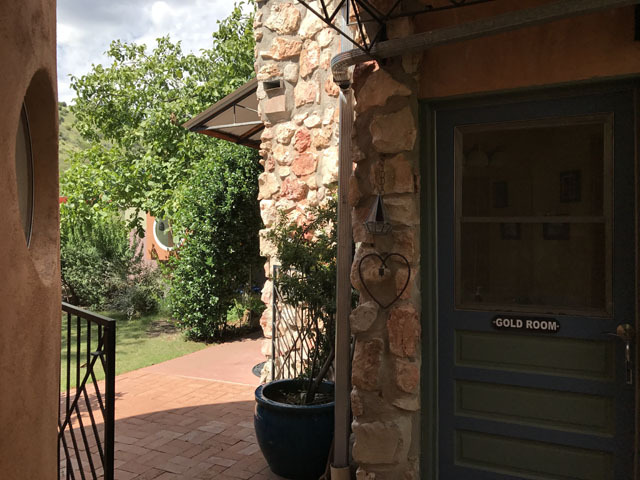 The Gold Room offers a king sized bed (that can be converted into two twin beds if needed), private bathroom and a private fenced in patio that is pet friendly. 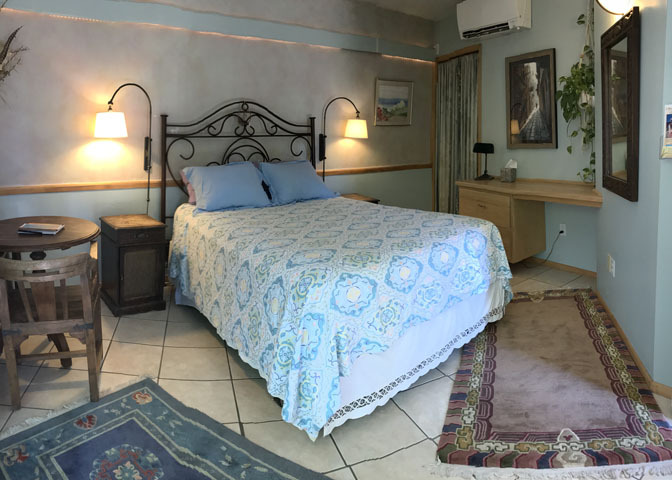 We have a few requests for pet owners; no pets allowed on the bed, no pets in the room while owners are offsite, and pick up and dispose of your pet’s waste appropriately. 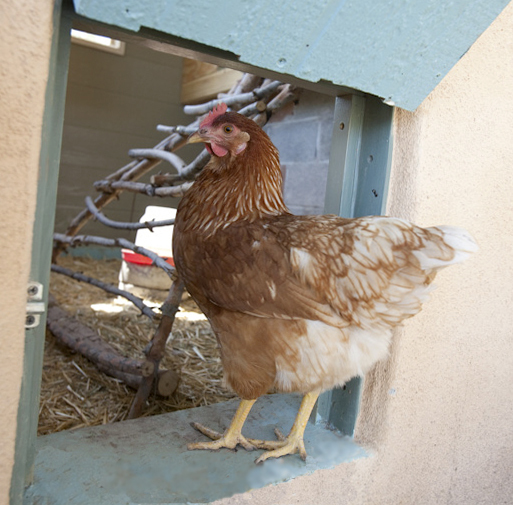 Also, be aware that we have two dogs and two cats that are outdoor pets. 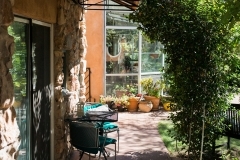 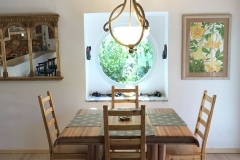 Enjoy our newly completed Canyon Studio communal room with a full kitchen, eating and relaxing area. 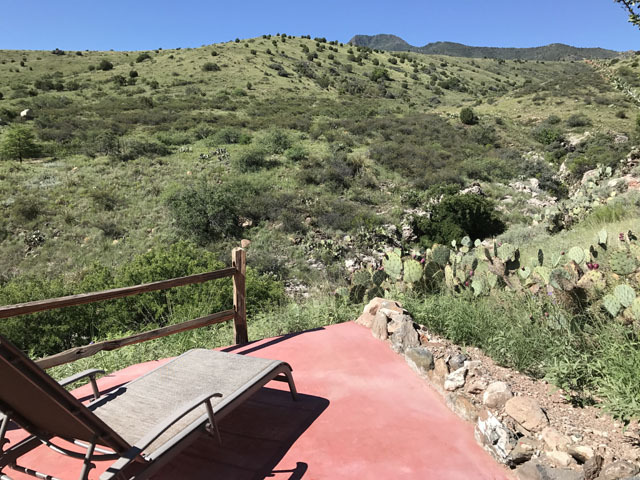 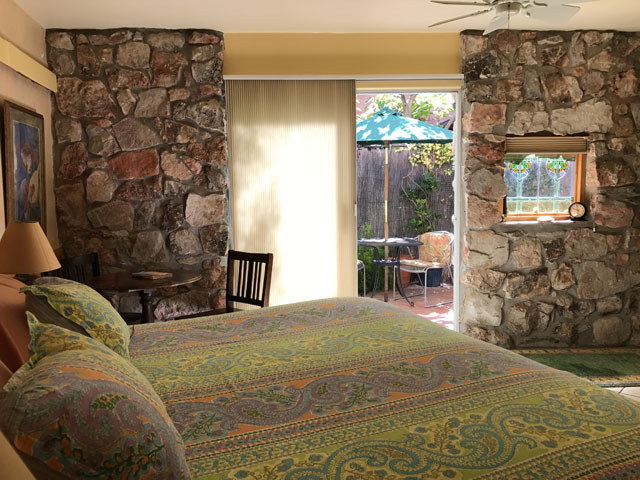 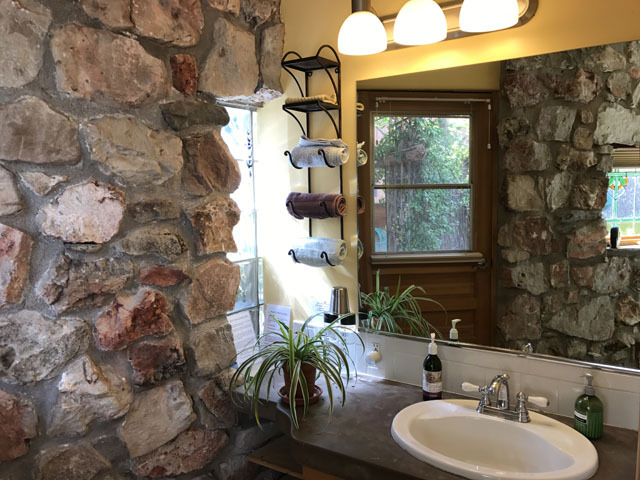 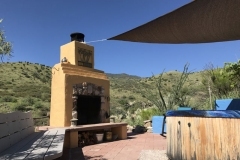 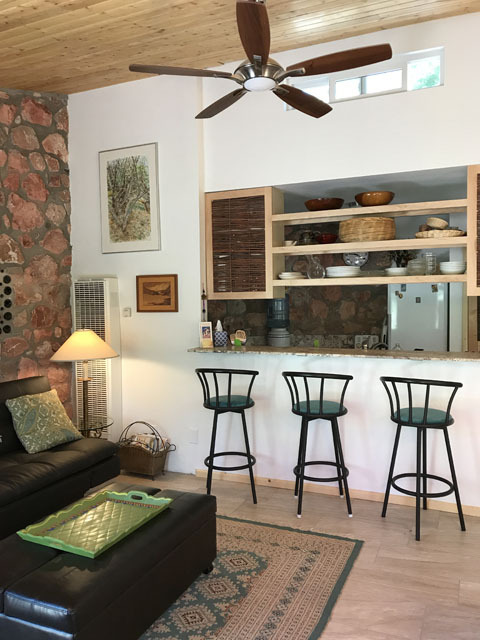 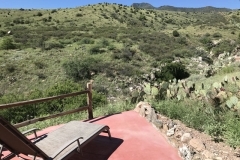 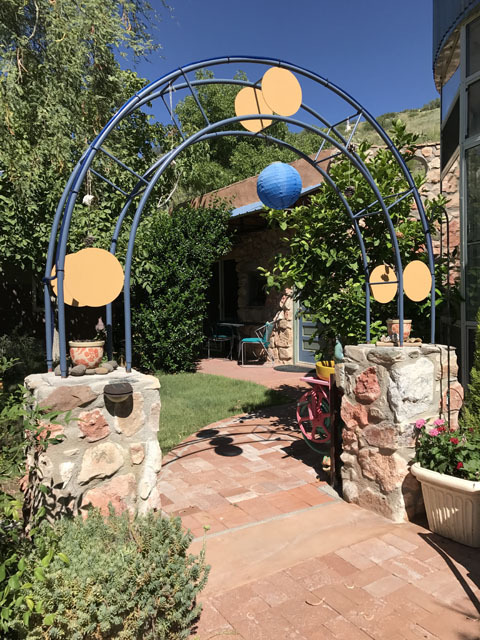 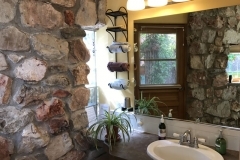 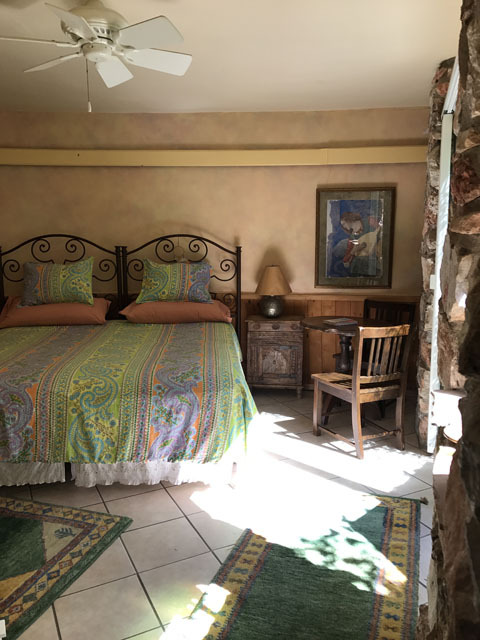 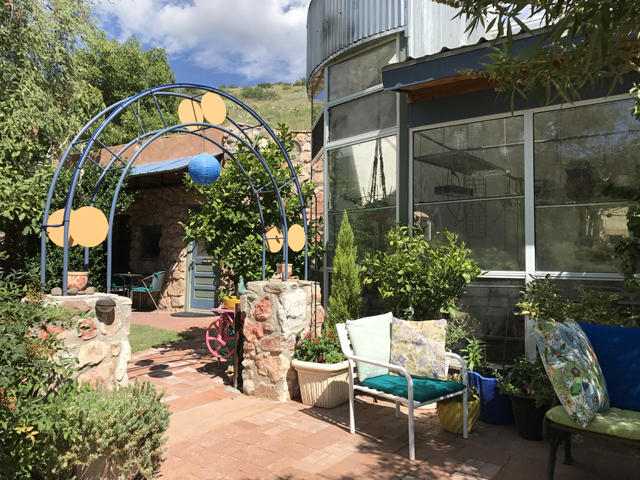 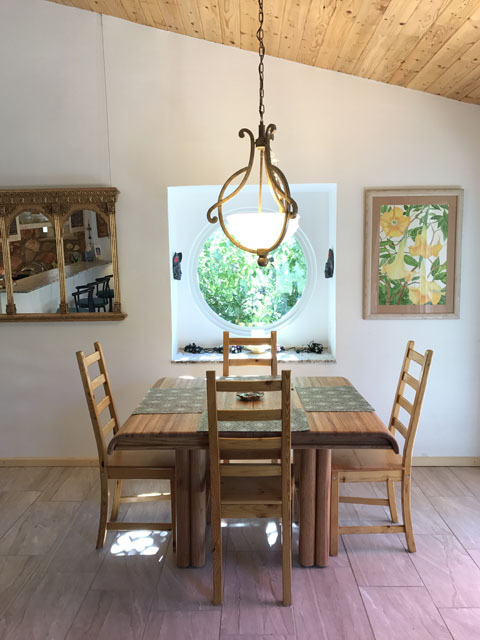 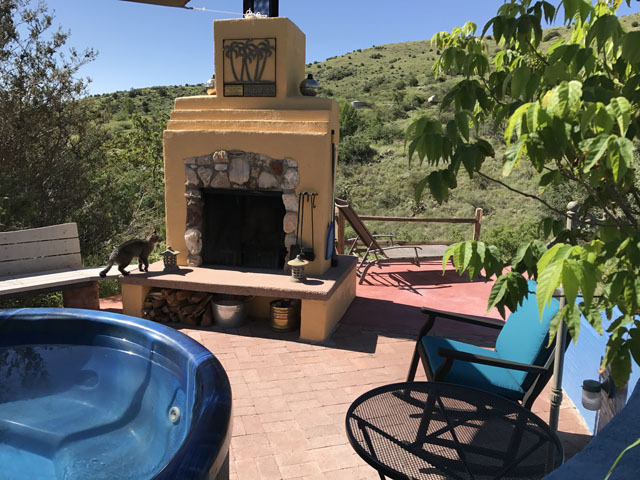 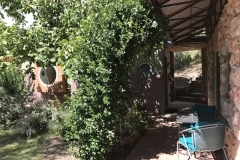 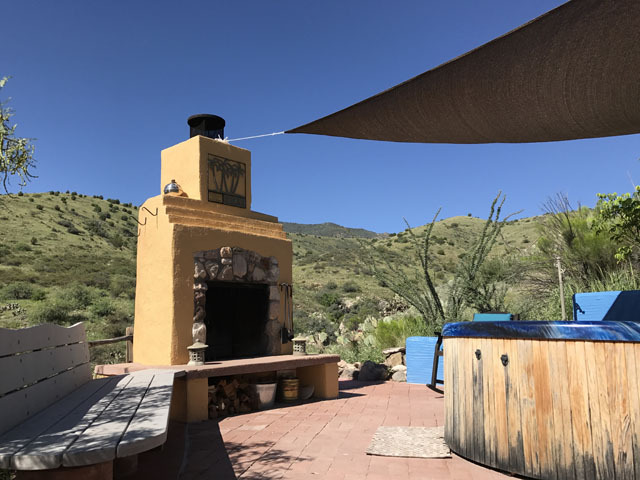 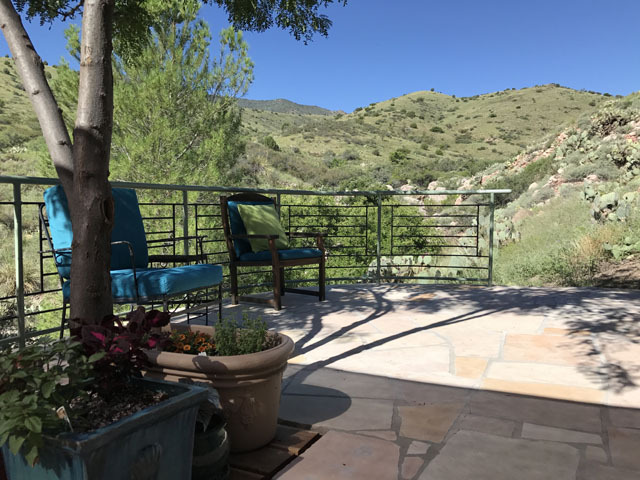 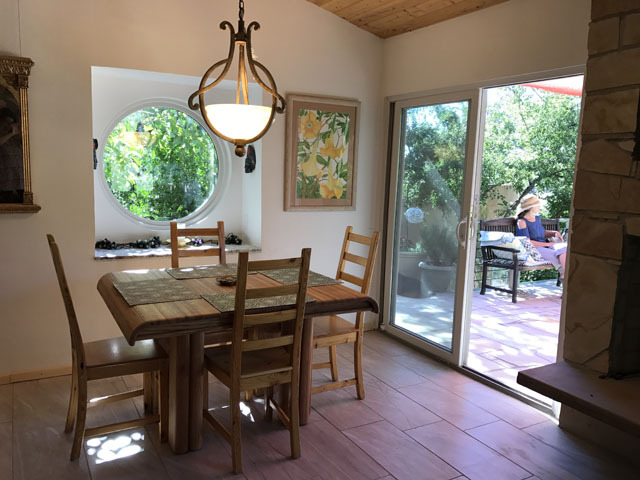 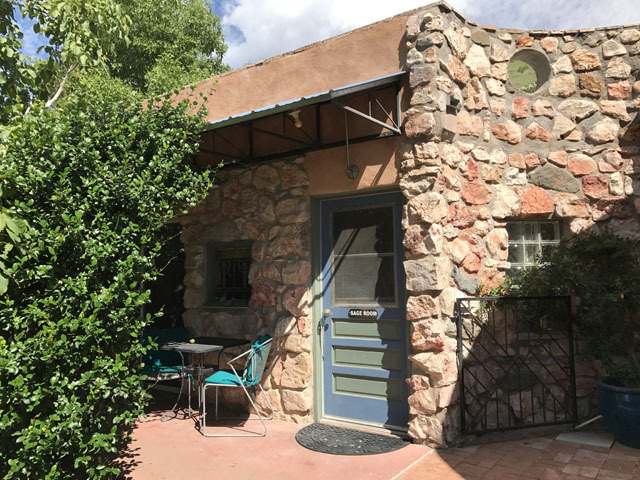 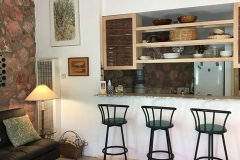 It is a hand built stone building with a fireplace and flagstone patio with a view up Mescal Canyon, a wonderful space to relax and unwind without leaving the property. 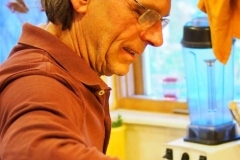 Feel free to prepare your own lunches and or dinners. 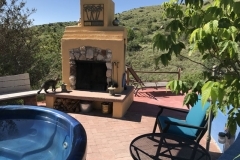 We also include access to our secluded hot tub terrace with outdoor fireplace. 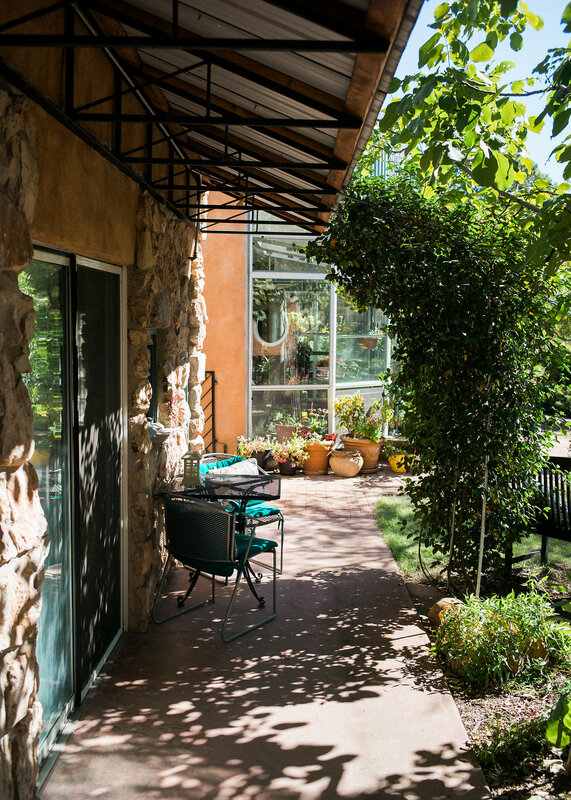 You can enjoy a quiet, peaceful retreat environment with no TV, but we do provide Wireless Internet Access. 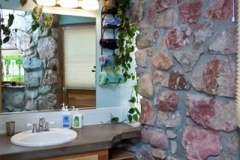 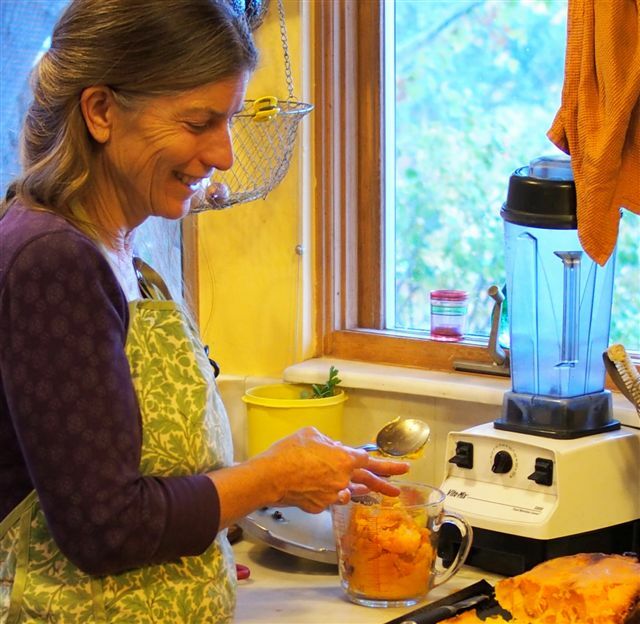 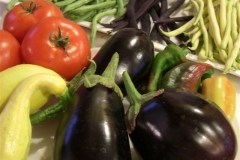 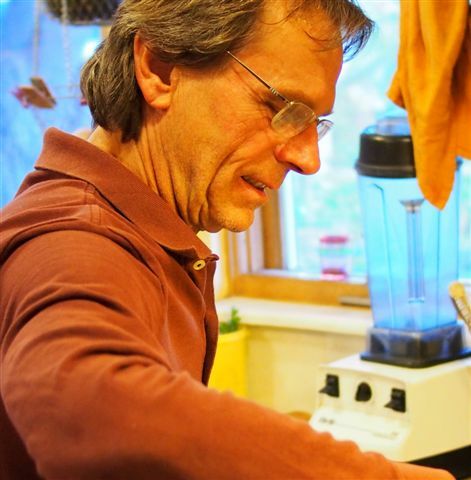 We provide natural fiber linens and towels and organic bath and shower products. 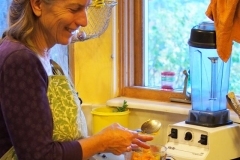 We use only non-toxic laundry and cleaning aids and can accommodate those with environmental sensitivities. 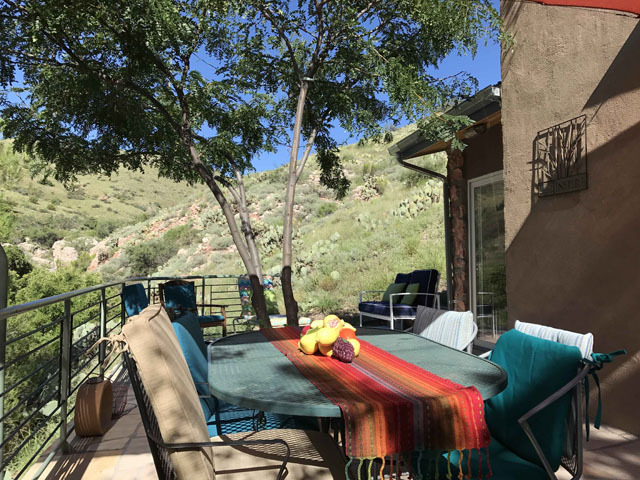 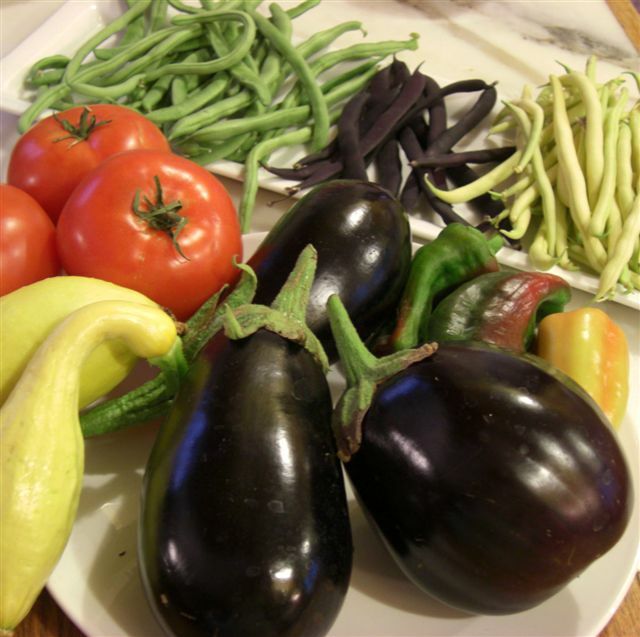 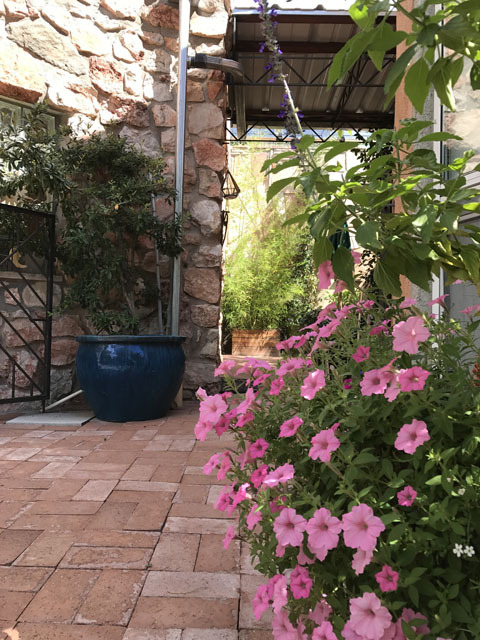 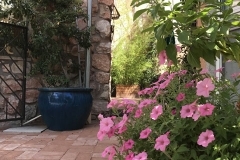 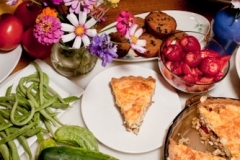 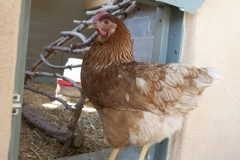 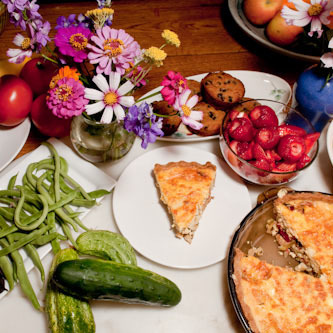 We offer a delicious continental breakfast including organic coffee and teas, homemade baked goods, hard boiled eggs from our chickens, fruit and cereals served on the patio (weather permitting) or in the Canyon Studio. 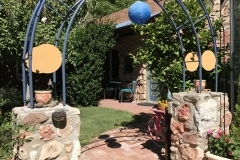 Feel free to stroll though the gardens, book a massage with Andrea, visit the chickens or take a walk into the National Forest. 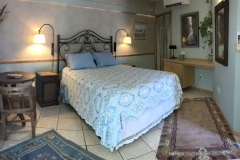 Please note that we request 2 night minimum stays.